Mr. Garry E. Hill has over 18 years of expertise in the financial, consulting and insurance industries, and specializes in Employee Benefits. In July of 2011, Gary was named a Partner of Sterling Risk Advisors (now Sterling Seacrest Partners). 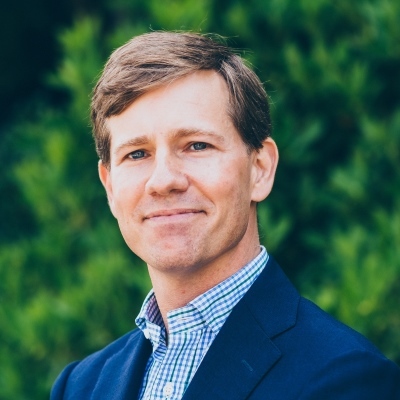 Prior to joining Sterling Seacrest Partners as a Benefits Broker, Garry held positions with Northwestern Benefit Corporation of Georgia as a Benefits Broker, Reagan Consulting as an Associate Consultant, and Silicon Valley Bank as a Portfolio Manager in the Technology/Life Services Group. Garry received a Bachelor’s degree from the Williams School of Commerce at Washington and Lee University, where he majored in economics. He was on the NCAA Division III Men’s Soccer and was selected All Conference. Garry was also the recipient of the Mollie Trent Signaigo Scholarship in Commerce and the Greg Eugene Mohr Scholarship. He graduated from The Lovett School in Atlanta, Georgia. With a dedication to giving back to the community, Garry is actively involved with 60 Feet, a non-profit committed to serving the needs of imprisoned children in Uganda, sings in the Sound Investment a capella music group, volunteers as a soccer coach for Top Hat soccer club, Say Yes!, and is an active member of Mount Vernon Baptist Church.